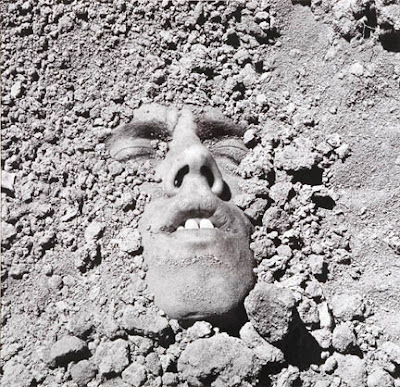 David Wojnarowicz's image "Untitled (Face in Dirt) 1990"
I recently came across APERTURE'S 40TH YEAR SPECIAL ANNIVERSARY ISSUE, published in Fall 1992. 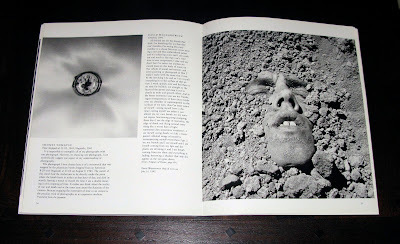 It's an extraordinary look back at Photography before the popularity of digital camera's came into the picture. ("Not until 2001 did Kodak begin selling mass-market digital cameras"–Ben Dobbin, AP). Michael E. Hoffman was still Director and Publisher of the Aperture Foundation. Hoffman published the legendary Diane Arbus Monograph by Marvin Israel and Doon Arbus in 1972, now in it's 40th-Year Anniversary Edition printing, as well as books by Edward Weston, W. Eugene Smith, Paul Strand and Dorothea Lange, among many other greats. In 1992, Basketball star “Magic” Johnson announced he was HIV-positive and Freddie Mercury, lead singer of Queen, died of complications from AIDS. 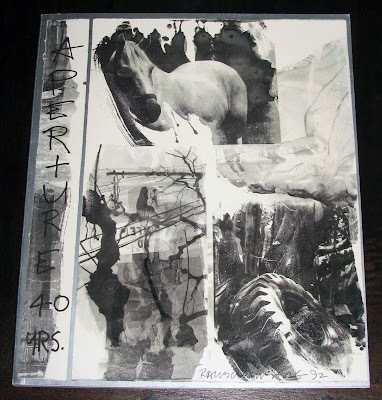 "The process of bringing together a "forty years" celebration forces one to see photographs as, among other things, indicators of their time. Several photographers address AIDS in their text or images; the brutality of this devastating epidemic became all the more jolting when David Wojnarowicz died of AIDS during the preparation of this issue, having selected his photograph, but without having had the time to write his text." Also included in this issue were photographs by Josef Koudelka, Eugene Richards, Mary Ellen Mark, Eudora Welty, Sophie Calle, McDermott and McGough, Alex Webb, Sally Mann, Maggie Steber, Chuck Close, Thomas Struth, David Turnley, Helen Levitt, Henri Cartier-Bresson, Carrie Mae Weems, Joel Sternfeld, Masahisa Fukase, Jan Groover, Nick Knight, Barbara Morgan, and Margaretta K. Mitchell. There may have been others I missed.